Being able to delete sent messages in WhatsApp is one of the most important functions that are about to reach the instant messaging application. 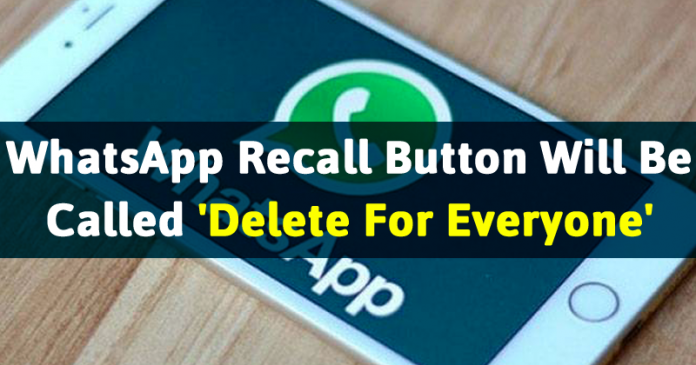 Beyond the possibility of paying through the app or other new features that appear on the horizon, now the managers of the app expand this functionality with the feature to delete messages in WhatsApp for everyone. According to the WABetaInfo portal, which filters all future features that will appear in the instant messaging application, WhatsApp is finally testing the Delete for everyone feature: the server finally works and is able to retrieve the message successfully before it is read by the recipients to whom we have sent a particular message. Of course, although at the moment the server works perfectly and allows to delete messages sent in WhatsApp, this doesn’t mean that the function is currently activated so if you delete any text, photo or video sent through the WhatsApp will not prevent your recipients from reading it. Most likely, just as with the possibility of deleting sent messages individually, is that this function will be enabled remotely later, and since WhatsApp “enabled” their servers for Delete for Everyone feature, it may actually be enabled soon, even this month. In the version of WhatsApp for iOS, and the version of WhatsApp for Android, when the sender removes the message for all, will also be updated in the Notification Center. 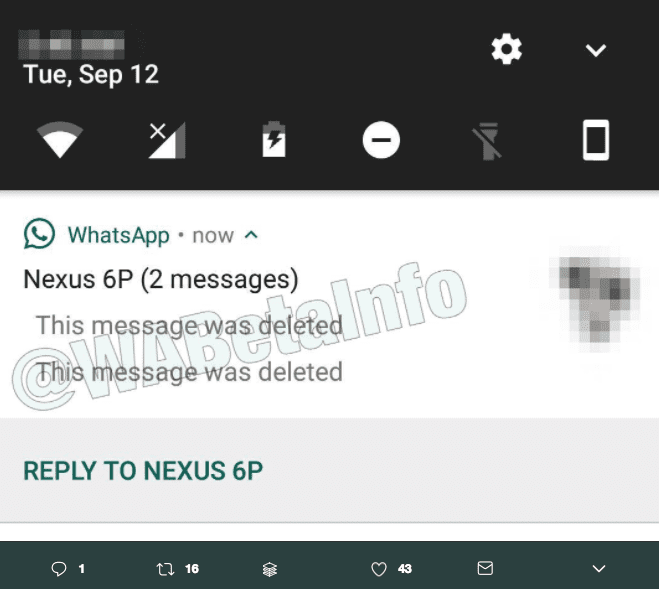 In this way, a WhatsApp alert will appear on our recipients’ smartphone that a message has been deleted within the conversation, as shown in the image above. As we say there are no details on when this WhatsApp feature will be enabled on the respective mobile platforms, we do not even know if it will go beyond the beta versions, but it is another example of how you can delete sent messages in WhatsApp, something very requested by the users.